The innovative new tools and features in AutoCAD® 2017 make it more personalized, customizable, and easy to use. Introducing AutoCAD 2017: What's new? Amazon.com does not sell products for purchase by children. We sell children's products for purchase by adults. If you are under 18, you may use Amazon.com only with the involvement of a parent or guardian. This site is intended for people over the age of 13 - if you are younger, please get your parents' permission before continuing. All trademarks, trade names or company names referenced herein are used for identification only and are the property of their respective owners. 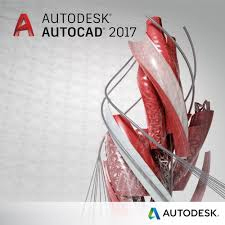 AutoCAD® is a registered trademark of Autodesk, Inc. www.autocadmark.com and cadtutorial.org website is not affiliated with Autodesk, Inc.
Any other trademarks used in this site are the property of their respective owners, which are not associated with this website. AUTOCAD® and all products (trademark) developed and distributed by AUTODESK, Inc., which stands not with concepts, opinions and comments into our site. Equally, references made to ‘AUTOCAD’ , must be understood as the trademarks: AUTODESK® AUTOCAD® , respectively. This site is not affiliated with Autodesk.